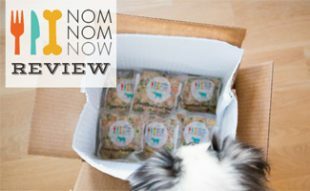 Home > Dog Health > Nutrition > How Much Food Should I Feed My Puppy? There are many elements to keeping your dog healthy. These include giving him enough exercise, playtime and, of course, food. But do you know how much to feed puppy? In this article, we’re going to discuss what puppy’s diet should consist of, how often you should feed them and the proper amount of food you should be feeding your dog. 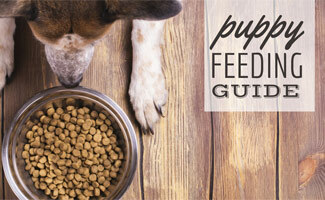 We’re sure our puppy feeding guide will help you provide the proper diet for your pup! For the first six to eight weeks of a puppy’s life, he should be with his mother and nurse as he pleases. The mother’s milk provides the nutrients necessary to protect the puppy from diseases. During this time you don’t need to worry as much about how much to feed puppy because his mother is the one feeding him. Once your puppy has hit the four to six week age you should start to wean him off his mother’s milk — this will take two to three weeks. To do this, select a brand of puppy food — consider asking your vet for any recommendations. Blend the dog food with milk replacer and offer it to the puppy three to four times a day. Gradually reduce the amount of milk replacer until you’re only giving him dog food, the puppy should be around eight weeks old. Puppies and adult dogs have different nutrient needs. To help puppies grow into adult dogs, they require more protein, micronutrients and carbs. Puppies also require a high amount of calories to help them grow, so it’s important to purchase a high-quality brand of food for your puppy. A puppy’s mouth is smaller than an adult’s, which helps explain why their food is smaller too. Feeding puppies adult dog food can be dangerous because the kibbles are larger and the texture is harder. If you give a puppy adult dog food, it can cause damage to his teeth, jaws and overall health. Most dog food bags have a dog feeding chart on the label, similar to the one below. Be sure to check your dog’s bag of food for a label like this, so you know how much to feed him. These amounts are meant to be fed to your dog over a 24 hour period unless otherwise stated. And here’s a handy graphic you can reference as well for dogs of all ages and sizes. You just got your puppy, and now you’re asking yourself, “How often should I feed my puppy?” Everyone asks themselves this question, and you’re not alone. Setting a routine for your puppy feeding schedule is important so he can learn when to expect his food. Puppies sometimes need three or more feedings a day. So, according to the chart on your puppy’s bag of food, you’ll want to divide that by three or more and give it to him throughout the day. A common feeding schedule for puppies is 7 am, noon and 5 pm. If you decide to do more feedings than three you can adjust the times for the puppy eating schedule as needed. One thing to keep in mind though is to keep that last feeding around the 5 o’clock mark. That way he has ample time to digest the food and eliminate one last time before he goes to sleep for the night. As your dog gets older, you can reduce the number of feedings. Most adult dogs eat two meals per day. You’ll want to divide their food requirement by two. The importance of planning and allowing for a transitional process when changing dog food is often overlooked. Imagine eating the same meals every day. Then, suddenly you change to something completely different. You’ll probably experience a tummy ache or some gastrointestinal problems. The same thing goes for your dog. Remember that it’s a process that should take a minimum of six days and sometimes even more to adjust. The video from Petcurean below is a useful resource for this. And just remember, having a dog who has their dietary needs met will be happier and healthier as a result. Not eating enough can lead to malnutrition and overeating makes your pup obese (read our tips to help your dog lose weight). 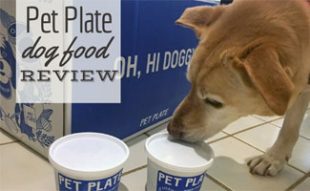 Looking for more dog food articles? 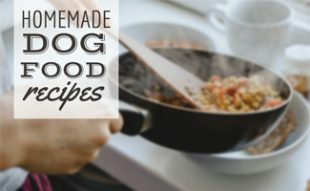 We’ve got plenty of resources on various dog diets and nutrition including homemade dog food recipes and what to do if you run out of dog food. Have additional questions or issues with your dog? Ask us if you need help. We’d love to help your family transition and aid with any adjustments as needed. Tell us about your pup! How much and how often is your dog eating? Hi, my golden retrievers boy puppy is 12 weeks old, I’m feeding him canine golden retrievers puppy kibble, 3 meals a day, 1 cup per meal. He finishes each meal less than a minute and sometimes seems not enough and want more. May I know if the quantity I’m feeding him correctly or not enough please? He loves your puppy food so much, he had other brand before, but always left half of his meal in the bowl. I understand that it is best to feed my puppy 3 times per day but that is just not realistic with my schedule. Am I really harming my puppy if I am feeding him twice daily? He is still getting the same anount of food. He is almost 10 weeks and about 10 lbs. I am able to get him out for a potty break during the day but do not have the time to feed him also. If he seems to be handling 2 meals per day well, then I wouldn’t think there is cause for concern. However, I’m not a vet, so it’s always best to give them a call and confirm. My 1 year old refuses to eat any dog food. Dry or canned. My husky is 3 months old and i am using royal canin plz tell me how much to feed him. In 24 hours. I am also giving him samolace mixed with whole milk+water,whole wheat breed. Can u just tell me how much to give him..
I’m sorry but your puppy chart is not even close. A 20 lbs puppy for large breeds such as a GSD, Retriever, or Lab should be getting 2.75 – 3 cups per day – all large breed puppy food bags specifies this. So if you feed 3 times per day it should be about 1 cup per feeding. At the rates you specify the puppy would be emaciated. I had my 2 mixed blue heeler puppies neutered a month ago. I feed them blue buffalo lamb and oatmeal puppy dry food and they get 1-1/2 cups twice a day plus a few treats in between. I can tell they have slowed down a little Am I feeding them too much. Thank you Robin B. Do your research on blue buffalo. It’s killing animals!! i wish someone would do this by food weight,how much does a half cup equal? 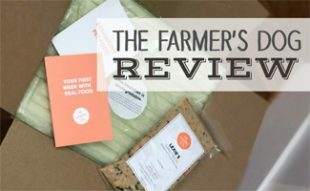 is it different between wet and dry?i use freshpet for my 10 year old westie.can i use this for my new pup,an 8 week old boston?should they have some dry food with wet for teeth health? If you are unsure about how much food to give your dog I suggest asking your vet. They should be able to help you if you give them a call. My Blue Nose Pitbull female is now 6 most old. How many scoops of her puppy food do I need to give her? Right now, I’m giving her one full scoop 3x a day. Love your article, Kim. It’s concise and provides great information. I’m with Susan, I think more folks should read it or see their vet. We’ve had a high energy Brittany-Pointer since 9 months. She’s now 3 and maintains her 50 lbs with 2.5 cups dog kibble and a scoop of canned dogfood meat chunks daily, divided 6am and 5-6pm. Our new 6 month German Shepherd-Lab gets puppy kibble, 2.5 cups divided into three feedings. We tried two, but she seemed too hungry by dinner, so we went to three. Both are happy, energetic, loving pups. Read the article, folks! Hope this info helps. My dog is a toy poodle puppy 3 months old she is eating now Royal canin dry food for puppies, I feel she is getting bored , can I start cooking for her homr made food same on the site ( carrots, chicken breasts, sweet pitatoes …etc) or its not good for her age? I suggest asking your vet about your dog’s specific diet needs. Each dog varies based on age, breed, health and more. I greatly appreciate this website and information given. However, I don’t understand why so many people are having issues comprehending the kibble chart. Also, all the questions on what to feed, how much(if don’t understand chart). That’s what your vet is for. If your vet is not telling you how much, suggesting what type, and weights. Get a new vet. Your vet see’s and knows your pet, if you are taking them to a vet. Just my two cents. Have a great day. We found two small puppies about 5-6 weeks old. They were abandoned .They weighted 3 lbs. Two weeks later The vet told us they weighted 5 lbs.I read the food amount to be given but there are really no amounts for under nourished pups. I asked the vet but no help there. I am feeding Merrick no grain all meat .They act like they are starving.Am I doubt g it right.Small meals 8th of a cup.We feed 5 times a day since one has a very weak gut and gets diarrhea easily. I am getting a Great Pyrenees she is 4 months old and I don’t know how much I should feed her. I hv 4 1 week old puppies that the mother is part cocker spaniel, golden, n Jack Russell! Father is poodle/besionfreesaie2 2 white W/speckled n 2 tan w/speckles they all HV wavy curly hair! where are these puppies? I am in KS. text me at 3166481258 or send e=mail. Thats the age of my white german shepherd. We usually buy Pedigree thats supposed to simulate mothers milk. It says 6 cups per day just like you said. My wife got a different food last week n it says 3 cups. Cant imagine why theres such a big difference. Any thoughts? 8 weeks border collie female. How many cups per day please. Thank you. Depends on the weight of your dog. Look at the table above. 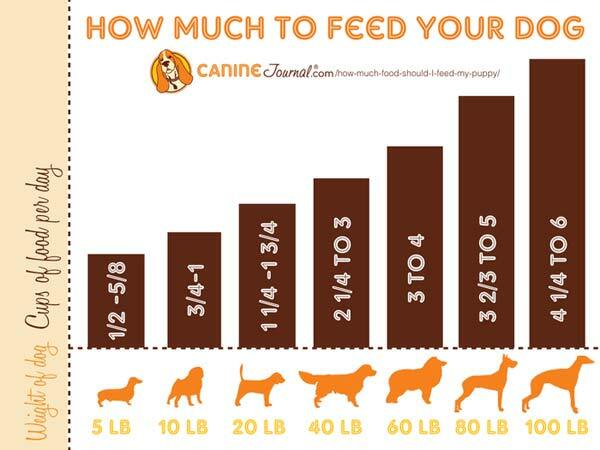 Hi Lori, For every 10 lbs of your dog’s weight, you can feed 1/3-1/2 cup of cooked dog food per day. So, for 114 lbs, we would suggest a max of 5.7 cups of cooked food for a full day (be sure to split this into portions based on how many meals you give per day). You might want to check your math. The max food suggested should be no more than 5.7 cups. It gets an extra 5.5 cups just for 14 lbs? If 6 cups for 100 lbs. Seems like a lot extra. The table above is for bagged kibble you purchase from the store. Not homemade food like what you’re doing. Admins, according to Michelle, she stated 1/2 pound of cooked food per ten pounds. This equals 5.7 cups of food, not 11.5. Is the math incorrect or the suggested amount? This is a huge difference and could lead to a lot of problems for this poor puppy if she gets over fed or under fed by such a huge amount. I have corrected my response above as my math was off. BUT, keep in mind that the chart above is for kibble, not fresh food. I have. 3 month Boston Terrier who is very picky with her kibble. Was soaking it in water and mixing canned puppy food. The Vet said hard kibble is better for teeth. She was on Diamond at the breeder? But would not touch it for me. I have Iams puppy and sometimes will eat and other times not. I have retried Diamond and sometimes eats it and then not. She also hates bowls , but ate it when food was wet. Royal canin has a pPug food but is not AAFCO endorsed. Any suggestions. She weighs 9.38. I have two chihuahua Maltese puppies and they are 14 weeks old and about 3-4 pounds. I am only feeding them twice daily about 1/4 cup each of either dry puppy food or an occasion chicken/sweet potatoe/rice mix. I’ve found this eating schedule works great with their needs to go potty! Are they getting enough food for their growth? Hi had my 4 mths old shihpoo weighed and she was 3.3 is that kg if so is that a good weight. Thank u.
I’m not sure if your dog was weighed in kg or not. I’d ask your vet and also ask if that is a good weight for your dog’s current health situation. We just rescued a 8 year old 74lb female Husky.We have offered her several different types of dry and wet dog food including the dog food she came with. The only thing i can get her to eat is i mix cooked rice , carrots and debone chicken 1/4 together and puree it. How much of this mixture should i feed her a day?